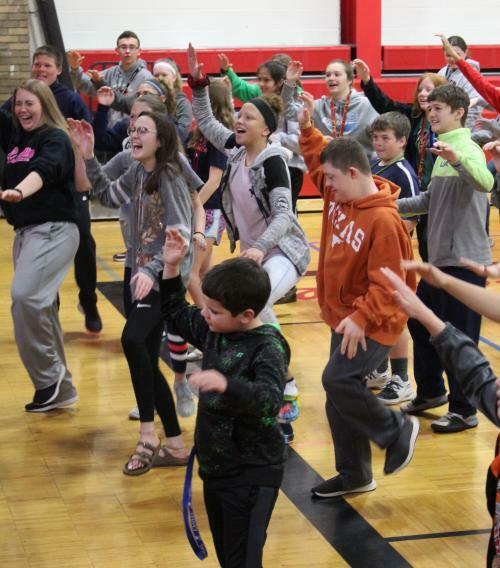 Testing at Royster Middle School began April 1, but even with all the preparation and planning the students were not ready for all the hoopla and excitement. Local law enforcement and firefighters lined the steps at 400 W. Main, voicing encouragement and handing out high-fives to students arriving for school and the first day of state assessments. Sixth through eighth graders will take tests in reading and math, Monday through Thursday mornings, this week. In the afternoons they’ll attend the regular classes they’re missing on alternate days. The eighth graders will also take assessments in science on April 5. This schedule is a shift from spreading the testing out over several weeks in April. Principal Don Epps said they purposefully squeezed the math and reading testing into one week to create an event they are calling Testapalooza. All year the students have been in class, working hard, learning and practicing their skills. Now it’s time for the big game. Just as March Madness is “the big dance,” Testapalooza is the big test where students put forth their best effort and skill. 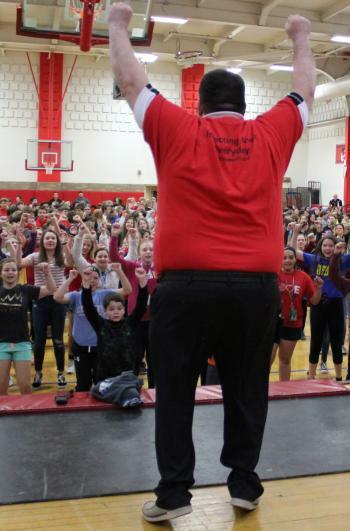 Teachers and staff have been building awareness for several weeks, handing out information to parents at conferences, encouraging students to get a good night’s sleep and eat a healthy breakfast. Teacher teams boosted anticipation for Testapalooza with their creative countdown videos leading up to testing week. They even held a practice day to see if all the students could come to school with their Chrome book charged and ready to test the first hour of class. The class with the best average overall from each grade level will be rewarded, and all the individual students who meet all the goals will qualify to attend a special event, Epps said. Besides encouragement from greeters each morning, the students and staff will prepare their brains for testing. 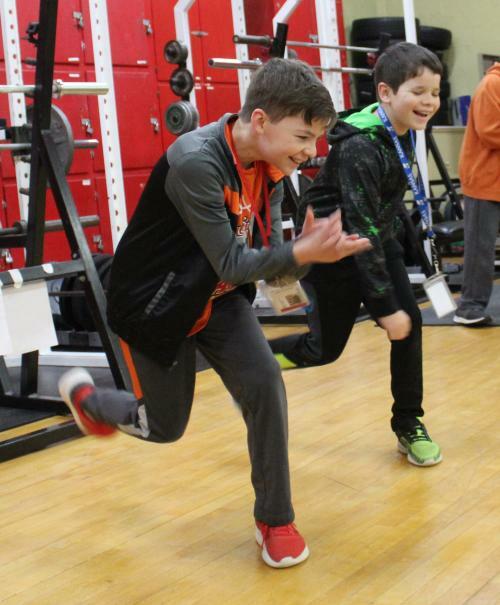 Physical Education teacher Terri Lund has been promoting the inclusion of minutes of activity in the classroom, based on research by Jean Blaydes Moize, founder of Action Based Learning. Social science teacher Jeff Schoenberger verifies that a few minutes of activity helps his students refocus. Today, the students reported to their Rocket Time classes, set up their Chrome books, then headed to the gym. 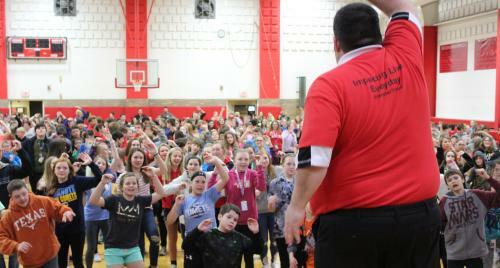 Principal Epps was waiting for them, ready to lead a 10-minute dance-a-thon with some student helpers. The staff is also supplying snacks and water, to keep the brains hydrated during the testing process. This is a team effort and Royster is working to close the caring gap as much as possible. “If kids care, teachers care and parents care, kids can be successful,” Epps said.